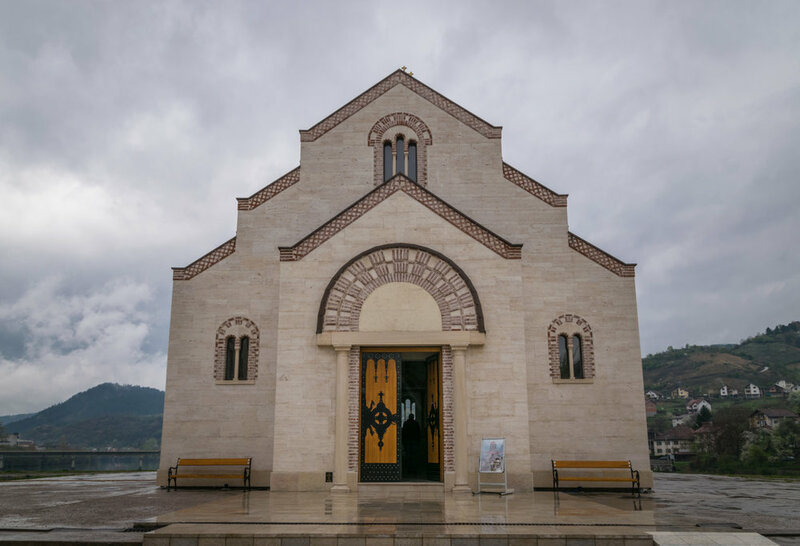 On a chilly, rainy Saturday morning in Sarajevo, I hired a private driver through a tour company to take me to Višegrad to see the Mehmed Paša Sokolović Bridge. 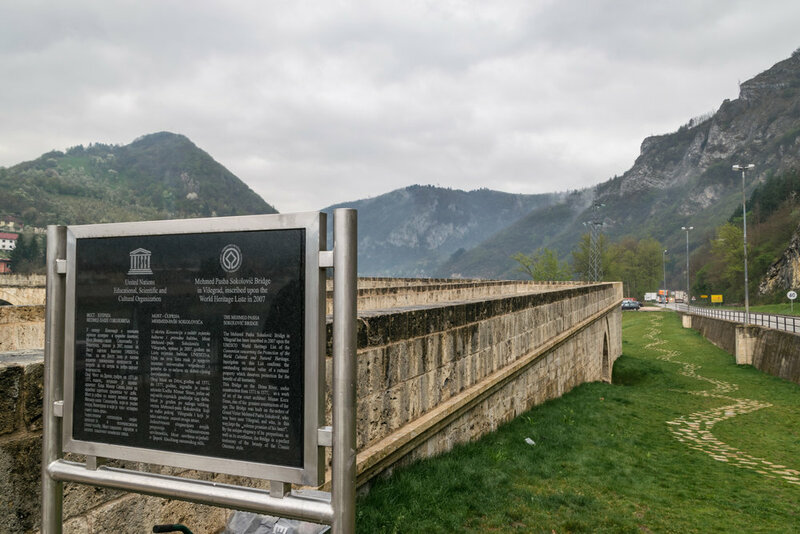 The price tag was a little steep ($115) considering the driver provided no information on the destination, but the drive was four hours total and a reasonable price to pay so I could check Bosnia and Herzegovina's second UNESCO World Heritage Site off my bucket list. (I looked into taking a local bus, but that approach was scant on information, confusing, complicated, and time-consuming.) The trip was definitely worth it because the countryside east of Sarajevo, near the Serbian border, is beautiful. Like Bosnia's other rivers, the water in the area is a surreal clean emerald green and the river that the bridge spans, the Drina River made famous by Yugoslav novelist Ivo Andrić, is no exception. 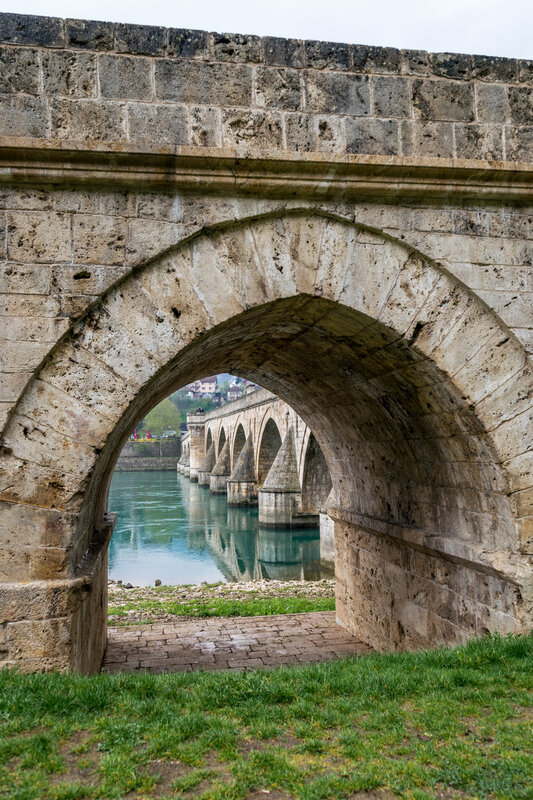 The Mehmed Paša Sokolović Bridge was built in the late 1500s by famous, talented Ottoman architect Mimar Koca Sinan on the orders of Grand Vizier Mehmed Paša Sokolović. Interestingly, the bridge's access ramp from the left bank of the river is a right angle. 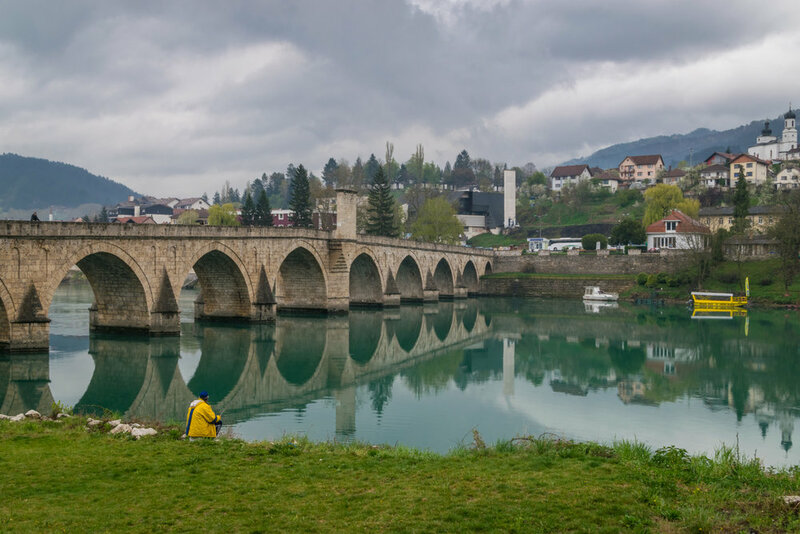 According to Wikipedia, the bridge has been renovated many times and was badly damaged during World War I; during the country's war in the 1990s, hundreds of Bosniaks were killed on the bridge by Bosnian Serb militias (not to mention vicious rapes and murders in the community). 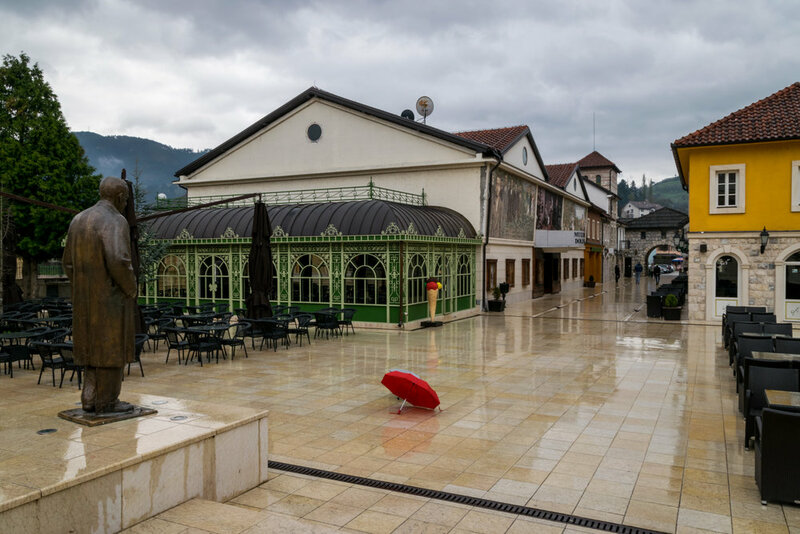 Beyond the bridge, Višegrad is a sleepy town that suffered greatly during the Bosnian War and has since updated its image with the new Andrićgrad. 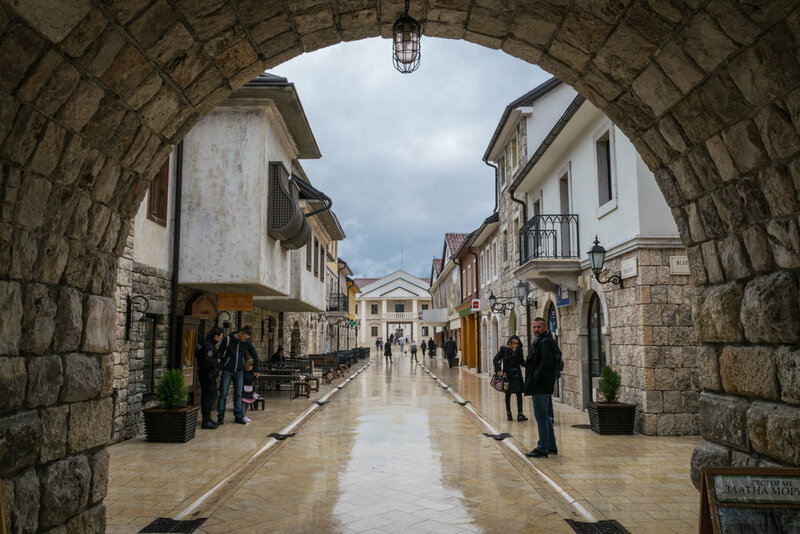 Looking at this beautiful, traditional Ottoman-style town, you will be shocked to know that it doesn't date back to the 1500s but just 2014. 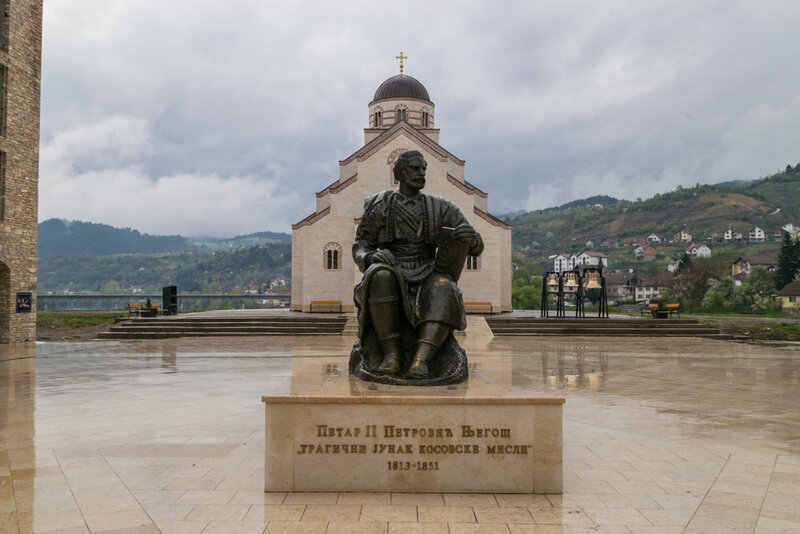 Yes, this tiny walled "city" named after Ivo Andrić and situated on a peninsula in the Drina River is brand-spanking-new. I imagine this construction project cost a fortune, because the materials and construction are high-quality. There are many giveaways that the site is recent construction, though, like the movie theater with the detailed mosaic wall and buildings of all architectural types (Spanish-style monastery, French-like wrought iron cafe exterior, etc.). Overall, I enjoyed the stop and wish all new construction looked this nice, and at the same time I couldn't help but feel it was contrived and limited to tourist functions only.